A governor of Maryland Martin O’Melly, governor of the State of Illinois Sheila Simon, Illinois Secretary of State Jesse White, the Virginia Attorney General Ken Cuccinelli and Connecticut Attorney General George Jepsen, City of Miami Mayor Tomas Regalado, Member of the California State Assembly Bob Blumenfield, Mayor of Hallandale Beach Joy Cooper, Miami-Dade Mayor Carlos Gimenez and others have sent a congratulation letter to the United States Azeris Network (USAN) on Azerbaijan’s Day of Independence. 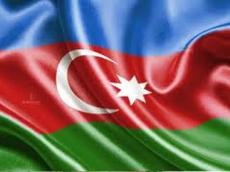 The document emphasizes the role of the Azerbaijani community of the United States in strengthening bilateral relations between the two countries. A number of proclamations emphasize that the Nagorno Karabakh is an integral part of Azerbaijan.